Please consider making a financial investment in the Department of Kinesiology. Your gift has many benefits. It helps us provide students with a superb education and it helps talented students who would not otherwise be able to attend the University of Massachusetts Amherst. Your annual support of our programs helps us continue to provide our students with the excellent education that has enabled our graduates to have outstanding careers. Your annual support of our scholarships enables us to attract the very best students in a competitive recruiting environment. We invite you to lend support in personally meaningful ways that will inspire and shape the future of the Department by making a gift now. Click here to make a gift to the Department, or view the scholarship funding opportunities in the tabs below. The Priscilla M. Clarkson Endowed Graduate Scholarship was established in memory of Priscilla M. Clarkson, Dean of Commonwealth Honors College and Distinguished University Professor of Kinesiology. During her 36 years at UMass Amherst, Priscilla mentored countless Kinesiology students. To these pupils and her peers within the department, she was a friend and trusted advisor. Each year, the department will award a scholarship honoring Dr. Clarkson to a deserving graduate student. This scholarship will be used to help defray costs of graduate school, provide funding for supplies for research projects and other related expenses, and subsidize travel to professional meetings. The Eric Sinacori Memorial Scholarship is awarded annually to a student who is a rising sophomore, junior, or senior who has a minimum GPA of3.0 and demonstrates financial need as determined by the Financial Aid Office. Students who apply must demonstrate how they intend to use their degree in Kinesiology to better the lives of others. 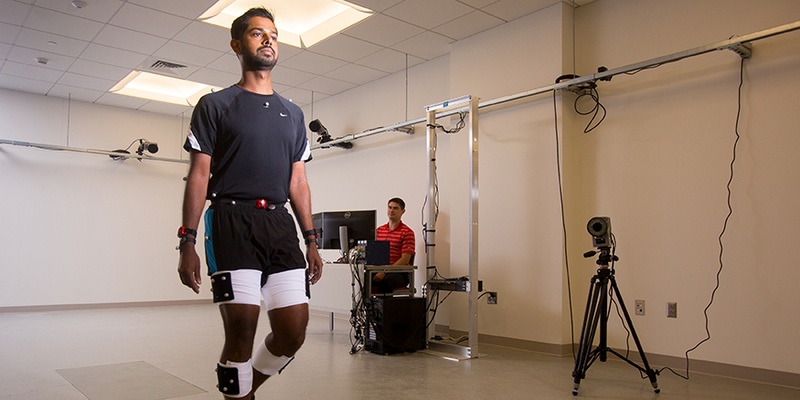 Unrestricted support for the Kinesiology Department is vital for the day-to-day operations of the department. Funds will contribute to student scholarships and travel funds, faculty research and equipment, and support of community-outreach initiatives. To support general giving to the Department of Kinesiology, visit the secure donation page at the UMass Amherst Development website.